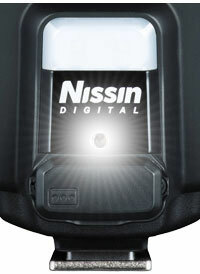 The Nissin Digital i60A Air Wireless Zoom Flash is a breakthrough in the traditional wireless lighting system. When compared with traditional optical wireless transmitters, the 2.4GHz radio transmission is less susceptible to angle and obstacle limitations, with coverage up to 98 feet (30m). Transmission channels and radio transmission IDs can be set to prevent misfiring in the event of signal interference on the same channel. When combining the flash with the Commander Air 1 (sold separately) you can control the flash TTL EV compensation, manual output, and manual zoom from the Commander Air 1 and all settings will also be displayed on Nissin i60A at the same time. 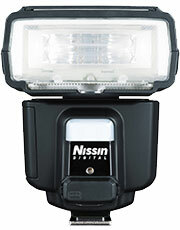 Supports up to 1/8000 seconds shutter speed when used with the Commander Air 1. The i60A is suitable for filling shadows on even the sunniest of days, for family shooting, indoor/outdoor shooting, and is especially suitable for traveling. 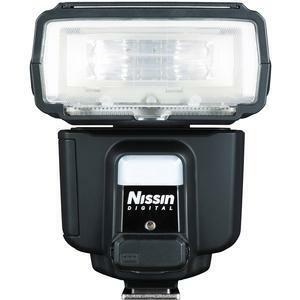 Professional functions include: flash output of GN60 at 200mm, built-in LED video light, simple operation panel with two selector dials to operate the flash. 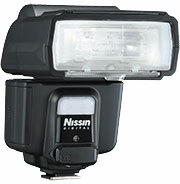 Flash head tilts up 90-degrees and rotates horizontally 180-degees to the right and 180-degrees to the left for making bounced lighting more versatile by utilizing more angles. 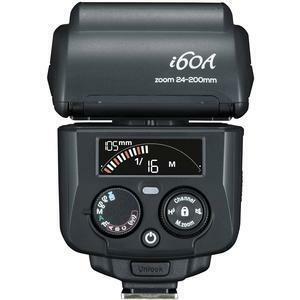 It has 24-200m zoom capabilities and a brightly lit color LCD screen. A built-in diffuser is included to soften the light. 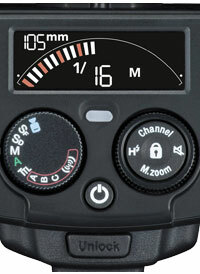 Control exposure manually in 1/3-stop increments. 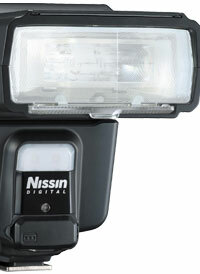 In addition, there are 8 channels and 3 groups for more control over lighting possibilities.